That Castle on the Hill now belongs to Friends! I am so happy to have represented them in the purchase of their first home together. 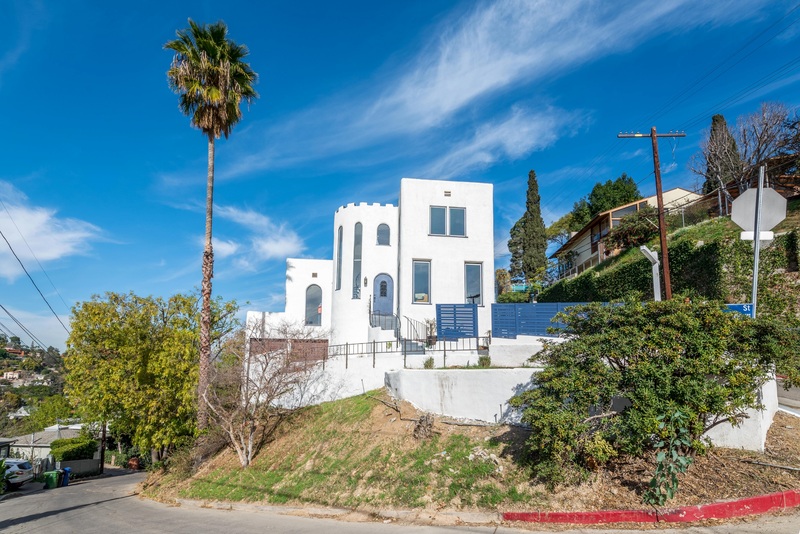 My clients watched their new home being remodeled for almost a year after their move to LA, never knowing that they would one day buy the home they had been admiring right up the street from their temporary rental. While we were shopping for a home for them the price on this one dropped and we sprang into action. Welcome to LA! Welcome to Silverlake and that small piece of old Hollywood. Winning during a multiple offer fight is not always easy, but if you know the tools to use. We beat out several other offers and I am thrilled for them. If you have questions about real estate in Silver Lake, Los Feliz, or anywhere in Los Angeles, please give me a call/text. (323) 929-6380.